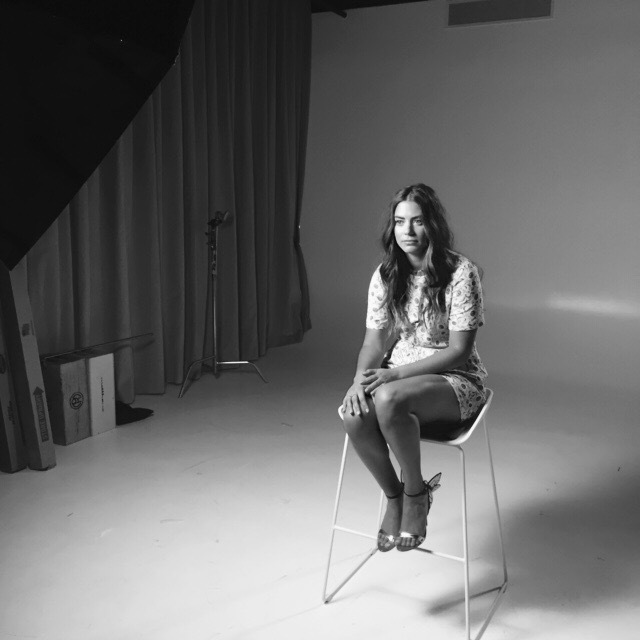 On November 19, 2015 Variety and WWD teamed up to bring the first ever StyleMakers event. I had the opportunity to interview all the stars and talented artists that formed part of this inaugural celebration, which was definitely one for the books. Last year the shindig celebrated the fusion of entertainment and fashion as took place at Smashbox Studios in Culver City, Calif. The event honored fashion designer Zac Posen, style influencer Freida Pinto, costume designer Lyn Paolo, stylist Elizabeth Stewart, hairstylist Jen Atkin, makeup artist Lisa Eldridge and photographer Matthew Rolston. Check out the video above where I chatted with Kerry Washington, Kourtney Kardashian, Atkins and more about their style preferences, fashion mistakes and how their style is evolving. Don’t forget to follow La Vida Liz on Instagram! Eva Longoria was honored at the inaugural Variety Latino’s “10 Latinos to Watch” ceremony, presented by Hennessy, held Tuesday night at Avalon in Hollywood. The star-studded event recognized Longoria with the Visionary Award presented by Lifetime for her groundbreaking work in the entertainment industry and continuous contributions to the Hispanic community. This year Variety Latino recognized promising Hispanic talent who are making waves in hit TV shows like “Narcos,” Netflix’s “Orange Is The New Black”, Fox’s “Scream Queens” and ABC’s “How To Get Away With Murder.” The honorees included Stephanie Sigman, Karla Souza, Luis Gerardo Méndez, Maite Perroni, Lorenza Izzo, Diane Guerrero, Miguel Gómez, Diego Boneta, Raúl Castillo and Natalie Martinez. Celebrities in attendance included Amaury Nolasco, Jencarlos Canela and the rest of the cast of Longoria’s new NBC series “Hot & Bothered,” current “Dancing With The Stars” contestants Carlos Pena Vega and Alexa Pena Vega and director Eli Roth. I had the privilege of co-producing the Variety Latino’s first annual “10 Latinos To Watch” list where we honored the best up and coming Latino actors and actresses in Hollywood. Among the list were Diego Boneta, Karla Souza, Stephanie Sigman and Luis Gerardo Méndez. It was an amazing experience! We did everything from choosing the ten, contacting them, setting up their interviews, writing all their profiles, galleries and more. My co-worker, Griselda Flores, and I worked diligently to produce content that would really stand out and honor each of their achievements. Each one came in to our studios to talk about their careers, their start in the industry and what they had learned about being in the industry. You can look at all the coverage by clicking HERE and their videos HERE. While they had their interviews I took behind-the-scenes pictures and now you can take a look at them! The Chanel, Karl Lagerfeld created short film, “Reincarnation,” starring Pharrell Williams and Cara Delevingne. The stars are the protagonists in the 7 minute film inspired by the story of how Gabrielle Chanel was inspired to create the famous Chanel jacket after seeing one gorgeous piece on a bellboy, interpreted by Pharrell. The duo also play the roles of an Austrian emperor and his queen while they waltz to “CC The World” sung by none other than the model and singer. The film debuted Dec. 1 at the Chanel’s Métiers d’Art collection runway presentation. The Primetime Emmy’s 2014 were a grand event that honored the best talent on the small screen. Starting the eventful night was the red carpet where fans and celebrities got to showcase their gowns and jewels for the cameras. This year I had a couple favs and there was definitely a favorite color being, white and red. No doubt about it that Camila Alves & Matthew McConaughey were the best dressed couple of the night! They look out of this world and drop dead gorgeous. Camila stunned in a Zuhair Murad dress & the actor in a Dolce&Gabbana. The one that surprised me the most was Sarah Silverman in her forest green Marni dress. Natalie Dormer was a hit in J Mendel dress and Sofia Vergara was a vision in Roberto Cavalli. What were some of your favorite looks? 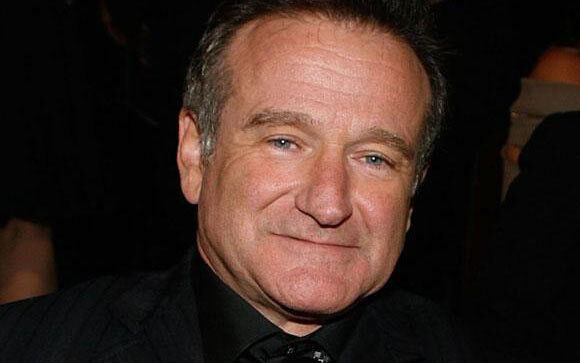 It’s a sad and heartbreaking time for family and fans of the late comedian and genius Robin Williams. As news broke out yesterday, August 11th, that everyone’s favorite and beloved entertainer left the world, we were all in utter shock. I’m sitting here watching the ABC 20/20 episode on his life and death and I am in limbo between laughter and tears. It’s so difficult to take it all in, that someone who brought so much joy and laughter to the world couldn’t make himself happy. As I watch his interviews with Barbara Walters and Diane Sawyer you notice things that you’ve never noticed before. He was always “on,” he would put on an act and even told Walters that it was more fun to play than to just be regular. Not many people noticed his inner demons because he was just such a great performer. But who ever just stopped him to ask how he was? To be honest after watching this it seemed that they did, but he would shy away from it and just turn to humor. In dark times he hid and thought he could do it on his own, according to the special he thought no one would notice…but they did. “It’s a small voice, but it’s always the same one…just one, just jump,” confessed to Sawyer. I’ve never been so saddened and devastated by a famous person’s death. Must be that I wasn’t as attached to them, but with Robin Williams it was different. I can honestly say that “Aladdin” is my favorite Disney movie, but not only did I adore his character Genie, I knew that it was Williams. His presence in any film was outstanding and you just smiled when he would come on screen. “Jumanji,” “Flubber,”Hook” are all part of my generation as a child and I can most definitely say that I will miss him. It’s so hard to understand how you can miss and be so sad about losing someone you didn’t even know, but clearly I’m not the only one. I can’t even begin to imagine how his actual friends and family feel at this moment. The shock, the grieving, the devastation would be too much. I just hope people don’t over do it with the reporting of how he died. I won’t even mention it here, I know you all probably know. It’s not about the details, it’s not about what he was doing and why he did it. It’s about realizing that sometimes people get so caught up in their own personal problems and issues, whether they are rich and famous, poor and lonely, sometimes having it all doesn’t bring you what you truly need. As this story continues to unfold I hope that we can just reflect on his career and appreciate the man who made so many of us laugh. Whether he himself was truly happy, I think he was. But I also think that he probably got to a point where he was so blurred and disoriented that maybe no one could help him and I truly believe he tried to change before he just couldn’t. So tonight I pray for him…and for his family and friends. May you rest in peace and know that millions of people loved and adored you. You’ll always be a prince to us. It’s been a while lovely La Vida peeps, but I am back for a special #TBT of articles from back in the day. Today I take a look at when I covered “The Voice” season 4 screening for Celebuzz and when I had the opportunity to ask Ms. Christina Aguilera a question or two. From what I remember from a year ago, it was almost wrap up time and Xtina was on the move. She was so nice and pleasant and had some words of wisdom for the troubled Justin Bieber. Here is the article, you can see it live on Celebuzz here. Christina Aguilera may not be coaching this season on NBC’s The Voice, but that doesn’t stop her from coming out to Wednesday’s Season 4 Premiere Screening. While fans were excited to see new coach Usher, talk of his protégé and megastar, Justin Bieber, soon arose. Biebs is having a rocky time right now and Aguilera — who also grew up in the spotlight — did not hesitate to offer up her thoughts. Will you miss Xtina’s insight as a coach this season? How do you think Usher and Shakira will do? 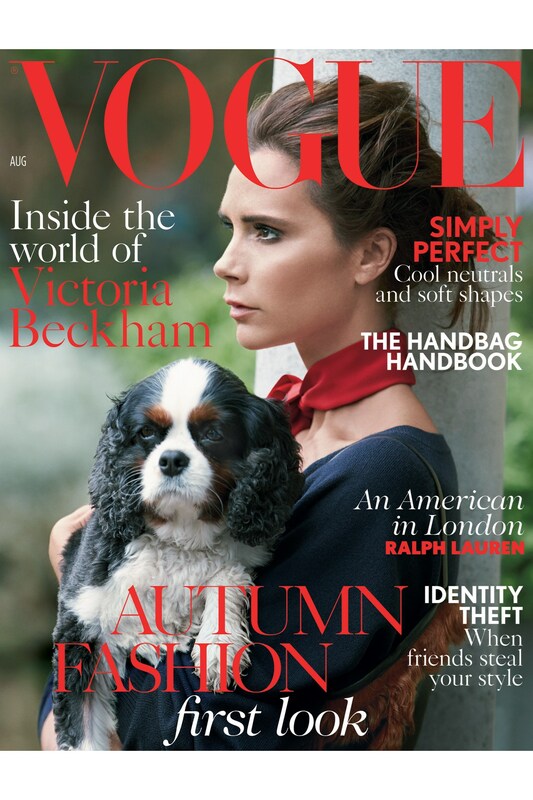 Victoria Beckham graces the cover of the 2014 august edition of British Vogue and it is perfection. Seen in much simpler and comfortable attire, this fashion queen takes her look to lower levels and not in a bad way. Known for her posh and sophisticated ensembles, V.B. is seen in floral prints, sweaters and even gardening! My-oh-my this girl is pure county town grown. Tell me what you think of her cover. That’s what this song is to me. MJ’s new album “XSCAPE” was released yesterday and today we got the music video for the new song with JT. Listen to it, watch it, LOVE IT! Last night were the holiest of fashion events, the glamorous night that all fashion lovers dream of attending, the Met Gala. This year in celebration of Charles James, the who’s who of Hollywood elite stepped out to NYC to dress up, vamp up and sparkle and shine. Of course everyone has their selection of best dressed and worst dressed and mine are below! Obvi David and Victoria Beckham are on top of my list! Seriously, these two are PERFECTION. Another couple that I absolutely adored, Blake Lively and Ryan Reynold. HOLLYWOOD GLAMOUR.